"I wanted to know my story, your story, where are we going together as people." Netflix has released an official trailer for Springsteen on Broadway, a film version of iconic musician Bruce Springsteen's hit Broadway show - which is still goes on every night in New York City (get tickets here). The autobiographical show is a solo acoustic performance written & performed Bruce - an intimate evening with him, his guitar, a piano, and his own stories—including a special appearance by Patti Scialfa. If you can't afford to fly all the way to New York City, and/or can't afford the cost of these popular Broadway tickets, then this documentary is for you to experience this special musical event right in your own home. From this tiny bit of footage in the trailer, this certainly seems like a very moving, heartfelt, and inspiring live music experience. See below. The show "Springsteen on Broadway" is a solo acoustic performance written & performed by Tony Award, Academy Award, and 20-time Grammy Award winner Bruce Springsteen. Based on his worldwide best-selling autobiography "Born to Run" and nothing short of the theater event of the year, Springsteen on Broadway is a unique evening with Bruce, his guitar, a piano, and his own stories—including a special appearance by Patti Scialfa. The intimate performance features personal anecdotes and songs including "Born to Run," "Thunder Road" and "Brilliant Disguise." Springsteen on Broadway was filmed live for Netflix at Jujamcyn's Walter Kerr Theatre. 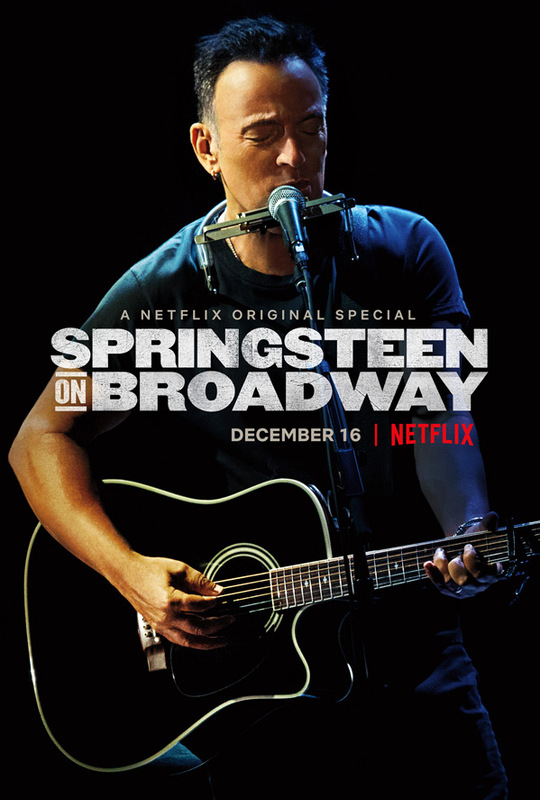 Netflix's Springsteen on Broadway is directed and produced by Emmy Award-winner Thom Zimny, director of Bruce Springsteen's other live documentaries and most of his live videos, as well as Elvis Presley: The Searcher and The Ties That Bind. Netflix will debut Springsteen on Broadway streaming exclusively starting December 16th coming up soon. Who wants to watch this?